Nutmeg Designs House Number joins Sunshine Filled Yellow Door in Rhode Island. 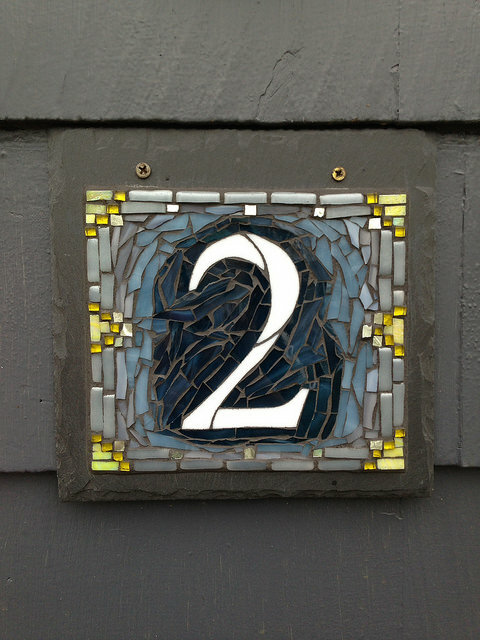 Nutmeg Designs House Number in Blue Gray and Yellow, glass on slate, 8x8 inches. 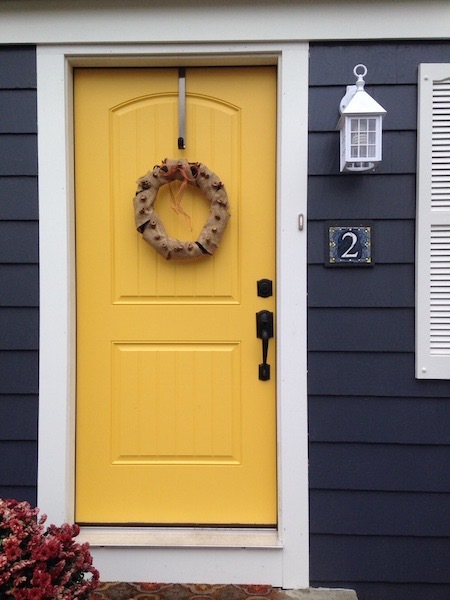 A classic New England home with dark slate gray cladding and a vibrant yellow door pairs beautifully with our Newport Colorway. The dark blue of the background shades into an ombré of gray tones, and yellow accents. A single digit gets its due with this elegant treatment and provides crisp visibility with high contrast. The client said it was the perfect touch for their entrance, and loved it so much they commissioned one for her sister’s house. 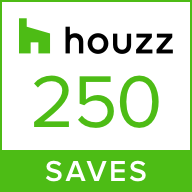 Made to order colorful glass mosaic house plaque featuring crisp flowing numbers and a custom background with colors that delight and add a finishing touch. Both beautiful and easy to read from a distance, this house number will bring you joy every time you return home. ► This 1 digit sign has an 8x8 inch Pennsylvania slate base. ► The digit is four inches high, in Times New Roman font. ► Packaged with care and sent via USPS Priority Mail to US and International First Class to Canada. For other locations please query for a quote.